Ruaridh Currie is a creative digital designer who provides you with 2 completely free PSD Responsive themes on Behance. 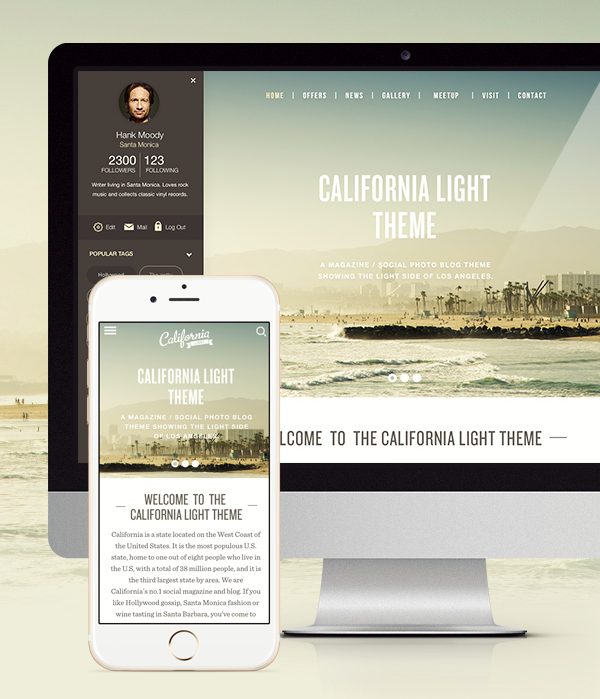 The theme of the design explores the light side of California. You can use this theme for your webpage on desktop or smartphone and as it is a raw PSD theme you can edit it following your own style.